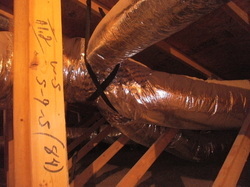 Your home's heating and cooling system is just like your heart pumping blood to your organs and tissues, but in this metaphor, your heating and cooling unit is the heart, and your ductwork carrying warm and cool air is your veins delivering the blood. 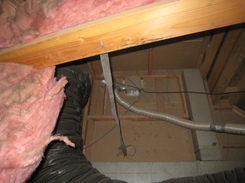 A clogged artery in the body from too many restrictions can lead to a heart attack, just like how in your home, having too small a return line, as well as improperly sized supply lines, restricted ductwork, and duct leakage can overwork your HVAC unit leading to early failure. 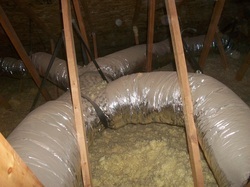 Once our health problems are corrected, our breathing becomes easier and our pain goes away, just as correcting ductwork issues recaptures the lost capacity of your heating and cooling system, dramatically impacting your home's comfort and energy efficiency. 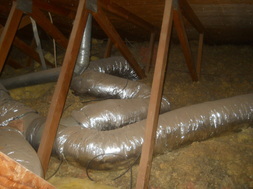 Flex ductwork is common for Phoenix homes built in 1980 or later. 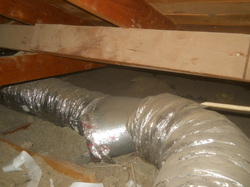 This type of ductwork is super simple to install, however, best practices in duct design and installation are simply ignored. 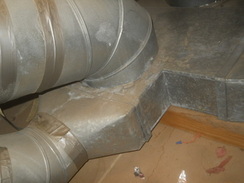 In addition, some flex ducts begin to split and crumble, and need to be replaced or spliced to remain at all functional. 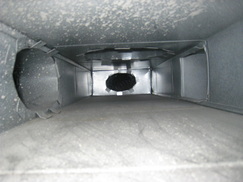 While sheet metal ductwork is better for airflow and durability than flex ductwork, homes built with sheet metal ductwork are plagued with undersized return lines and supply registers too close to the return. 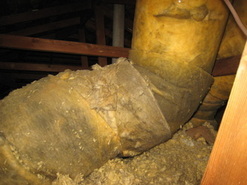 CLICK HERE FOR OUR ENERGY AUDITOR BLOG!